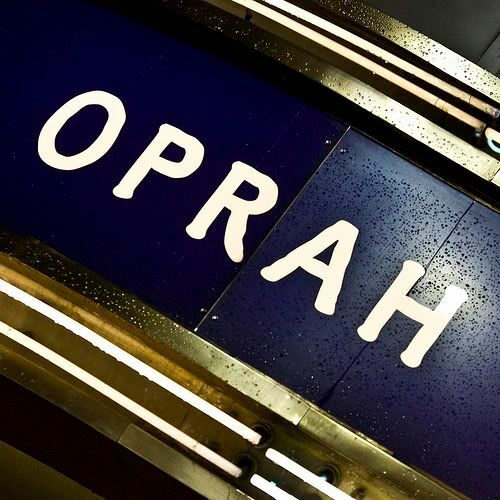 In mid-May I got an email that informed me that OWN, the Oprah Winfrey Network, was accepting audition videos for the television network scheduled to launch in early 2011. At the time I was not feeling too well but watched as more and more people began loading their video auditions in the hopes to win a show on the network. There have been some great auditions and some wonderful ideas including those submitted by some of my pals. This last two weeks I’ve been busy shooting some clips for an audition. Nothing fancy but I am focusing on what I might bring to a global audience and to the production team–with a list of topic ideas. One of my dreams since before I embarked on my career with animals has always been to be a global animal ambassador to help people develop animal connections and a better understanding of the issues facing both wild and domestic animals. So, although it might be a long shot but I am going to throw my hat in the ring–which is why I’ve been so scarce on the blog the last week or so. My hope is that you will take time to vote for my video (which I will post a link to shortly since it is not up yet). Although I have a number of ideas, I am not attached to any one type of show, format, or time slot and can relocate in a minute if needed. Oprah has been on my vision board for a couple of years so it will be interesting to see what happens. If nothing else, it will be good exposure to some of her producers and other production crew members. Finally, it has also given me some ideas for some videocasting. Anyway, just thought I would explain what was happening. If you are on my email list you already received a personal note and I am so touched by how many of you wrote back saying that you would support me with your votes. I’ll be sending out another email with details once the video is posted and if you want daily reminders (you can vote daily), please join me on Twitter or Facebook.